Love On Sunday on The Marion Housebook — Love On Sunday Love On Sunday | Interior Styling in Toronto and the GTA. Today is the day I get to share my exciting news! I am BEYOND thrilled to say that I will now be a contributor on Emma Reddington's blog, The Marion Housebook! Emma's eclectic style is a constant source of inspiration for me and many other bloggers and designers across the globe. 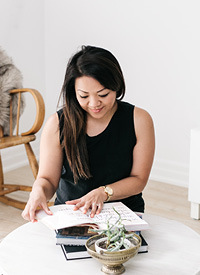 As a mother of 2 children, home editor of Canada's top women's magazine and a successful blogger, she's living proof that if you keep doing what you love, somehow everything will fall into place. So join me every Wednesday over at The Marion House Book as I will be sharing anything and everything that inspires me. You can check out my first post today. Hope to see you there!